We offer a wide variety of chemical peels for all skin types and conditions. Chemical peels improve skin tone, texture and hyperpigmentation, while increasing collagen and reducing the appearance of fine lines and wrinkles. Light or superficial peels penetrate into the outermost layers of the skin’s surface and stimulate the growth of new epidermal skin cells and the production of collagen, allowing for tighter, brighter skin. Medium peels penetrate into the upper part of the dermis, eliminating sunspots, as well as the brown discoloration known as age or liver spots. Deep peels penetrate into the deepest part of the dermis to rearrange collagen, melanocytes and other support structures of the skin. Improve tone/texture of skin. Reduces pore size. Lighten skin discolorations. Soften fine lines & wrinkles. Purifies acneic skin and stimulates collagen and elastin production. Am I a Chemical Peel Candidate? VI Peel. This type of Chemical Peel contains a blend of gentle but powerful ingredients that can be used for all types of skin. It’s very effective in reversing signs of aging, treating sun damage and treating acne. A VI Peel aims to reduce the appearance of age spots, freckles, and hyperpigmentation while improving skin tone, clarity and texture. On top of all this, it can stimulate the production of collagen and elastin to soften fine lines and wrinkles. Usually, anyone who has signs of aging can be a candidate for the chemical peels True Medspa has to offer. But it would be best to come in for a complimentary consultation so you can undergo skin analysis and we can determine which peel is most suitable for you. There are many different types of chemical resurfacers and peels. 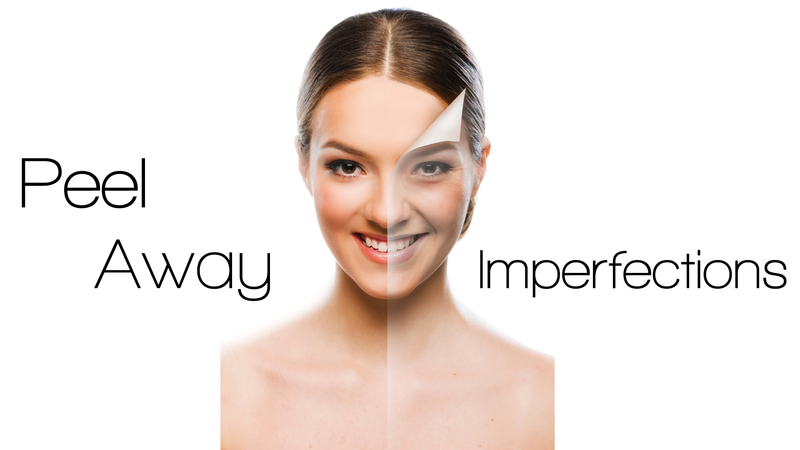 We carry a wide array of medical grade chemical peels made to address a wide variety of skin issues. Some mild peels give great exfoliation, yet have no peeling that you can see. While other peels do require a few days of visible peeling. We can help you determine what peel will give you the best result with the least amount of downtime.